This is a crucial topic in the work of the Norwegian Hydropower Museum. Protecting the water resources means protection against the development of the watercourses. 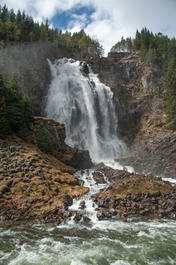 A watercourse is a connection of streams, rivers, lakes and glaciers. 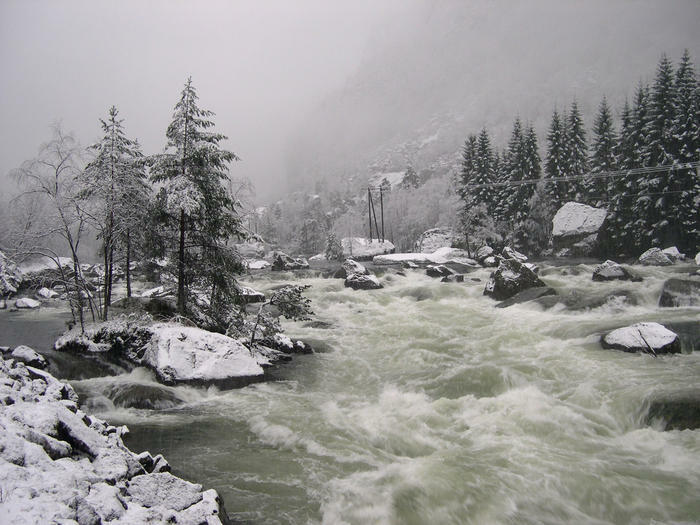 The watercourses have always had, and still have, several functions in Norway. These are; water supply, fishing, transport, timber floating, power production and recreation. 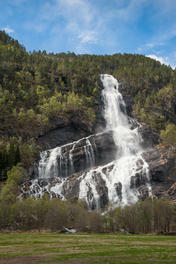 Norway is a water-country with its 4000 watercourses and 250 000 lakes. Around 387 watercourses are protected against power development. The majority of the electricity production in this country is based on hydropower. Norway has one of the highest cunsumption of electricity per inhabitant in the world. The conflict between protection of watercourses and the use of the watercourses for power development, creates big dicussions in the society. In the 1970ies, and early in the 1980ies, there was a huge conflict concerning Mardøla- and Alta-watercourses development. What is the protection plan for watercourses? If a watercourse is protected, it means that it can not be given concession (permission) to any power development in this particular watercourse. The first protection plan for watercourses came in 1973. 387 watercourses are now protected by law against development. These watercourses constitute a representative section of watercourses in Norway. Why are watercourses being protected? The reasons for this may be many. It may have a specific significance for natural sciences, spesific environmental qualities, significance for outdoor living, cultural heritage interests and more. Any power development in a protected watercourse is notifiable according to the law of waterresources. In addition to that, the stately Norwegian Water Department must approve all plans for development. Protection of a watercourse is in this connection protection against development. The Government has however underlined that it might be necessary to protect watercourses also against other forms of interventions, if these are part in undermining the value of protection. Intervention of watercourses would be physical measures directely into the river or to the buffer zone along the watercourse. Examples would be construction of roads or bridges, water supply facilities or a massive exploit. Why was it necessary to originate a protection plan? The effort to protect watercourses started around 1960. 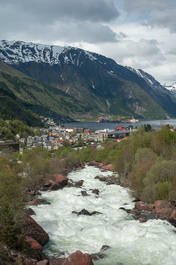 Norway was within a period of comprehensive hydropower development. It was crucial to originate a national plan to assure some of the nature around the watercourses to be left untouched.